Refills for your favorite markers! GRAPH’IT’s INK allows you to refill all your GRAPH’IT alcohol markers! They are fully compatible with both the GRAPH’IT Markers and GRAPH’IT Brush. 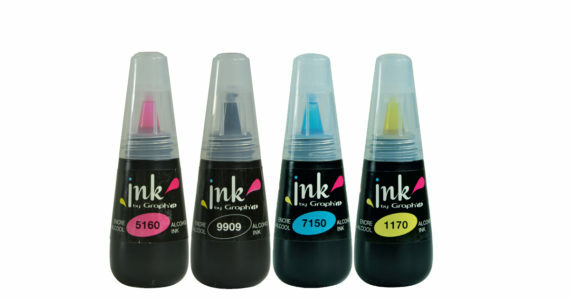 One bottle contains 25 mL if ink which will refill an empty marker over five times. At an average price of 5$ per bottle this is great value for the money. Beyond the cost efficiency, especially for colors like Black, greys or skin tones, this is also environmental-friendly- never throw your GRAPH’IT markers away. Your alcohol markers can be reused over and over again with spare tips and inks’ refill! Did you know ? If your Graph’it Marker dries up because it was not recaped properly after use, you can reactivate it by adding ink on the tip and inside. 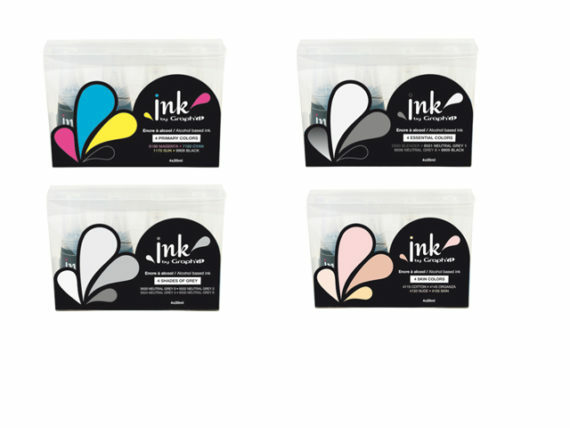 24GRAPH’IT markers alcohol ink colours for are now available! They are the 24 preferred tints of GRAPH’IT marker users : black, neutral greys, skin tones and blender. Then, you will find shades such as flesh, the shades of grey and mixed blues. But also essential colours like Magenta (GE05160), Ruby (GE05245) or Sun (GE01170). Other colours are planned to complete the range! Each bottle allows 5 complete refills of markers! 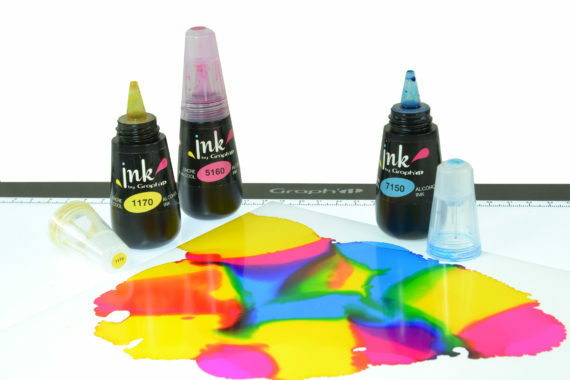 In addition to its primary use as a marker refill, GRAPH’IT INK can also be used directly as a drawing ink. For example, you can practice the “pouring” or “drop by drop” method. This is a new and highly prized art trend that consists of pouring the ink drop by drop and superimposing the colors, letting them mix on the surface. It is preferable to use these alcohol inks on a non-porous surface to get the best pouring effects : instead of a porous surface like paper, use YUPO paper, a synthetic plastic surface with no fibers; so the ink stays on the surface for great color mixing effects. It is the very fluid consistency of these inks that makes it possible to work in amalgam and superposition, giving very spontaneous effects. These inks will delight lovers of abstract art!